Some of the richest Instagram celebrities today never imagined that they would be earning huge payouts just by either making a post or endorsing brands on Instagram. Most of these Instagram celebs started with honing their crafts and gaining the love and support of numerous fans world over in the field they represented be it music, acting, football, fashion/modeling and so on. The major platform on which they were shown to the public and fans was the television set but this trend is shifting fast to social media platforms of which Instagram is one such medium. Now fans and enthusiasts alike connect with their favs on a much personal level on Instagram by following, liking and commenting on the posts made by these celebrities. This has led big-time brands and companies to increasingly pay these celebs huge sums to run sponsored post on their brands or products because they can determine on the go just how many people would see it. Interestingly celebs with greater influence, followers and fan engagements earn mouth-watering sums even to the tune of $1 million whenever they make a sponsored post. Here, we will bring you the 10 richest Instagram celebrities you need to know about. Kylie Jenner is the popular reality TV and Instagram star who was born on the 10th of August 1997, to famous parents Bruce Jenner and Kris Jenner. She is also a socialite, model, and entrepreneur. Much of her popularity started from a young age when she began featuring alongside her family and big sisters in the break out reality TV show Keeping Up With The Kardashians. Fast forward to the present time, she is now a mature woman who is even a mother. More so, her business and entrepreneurial ventures including; Kylie Cosmetics. as well as her mobile app (which reached number one on the iTunes App Store)has made her a very wealthy woman. One of the most interesting sources of her earnings which a lot of people didn’t see coming is her large payouts on Instagram which is estimated to be around $1 million per sponsored posts. This thus makes Kylie Jenner the highest paid and one of the richest Instagram celebrities with over 122 million followers, and an estimated net worth of $900, 000 as of 2018. Find out more on how she made her huge wealth here. Selena Marie Gomez is a famous singer, actress, and producer who was born on the 22nd of July 1992 to parents Ricardo Joel Gomez and Amanda Dawn “Mandy” Cornett(a former stage actress). Selena began acting at a very young age after she was selected to be among the cast for Barney & Friends. In 2007, she got the big break of her career as an actress and singer when she was cast in the role of Alex Russo on the Disney Channel television series Wizards of Waverly Place. The series was so successful that after it ended, the launch of her music career was effortless. To date, she has sold 7 million albums and 22 million singles. This popularity also transcended to a huge following of 139 million followers on her Instagram page. Due to the level of engagement in terms of likes and comments she receives each time she makes a post, she has been offered $550, 000 to make sponsored posts on behalf of top brands. This figure was bumped up to $800, 000 in 2018. Cristiano Ronaldo dos Santos Aveiro is a world-famous soccer player born in São Pedro, Funchal, on the island of Madeira, Portugal on the 5th February 1985. As a result of his formidable skills from the start of his career to date, has been said to be one of the greatest soccer players of all time. One thing that is widely known is that soccer players are highly paid for the thrill they bring to fans each time they come on the field of play and Christiano Ronaldo ranks as one of the highest paid soccer players as of 2018. Asides the other numerous means by which he earns big time including; endorsements, TV commercials e.t.c, he gets a huge payout also as an Instagram celebrity. For this, he is recognized here as one of the richest Instagram celebrities considering his impressive following of over 150 million people and the lively interaction he has with fans on his page, Ronaldo used to be paid $400,000 in 2017 for each sponsored posts he made on behalf of brands. However, this went up to $750,000 in 2018 to make him the 3rd highest paid Instagram celebrity. Kim Kardashian is a socialite, model, and businesswoman who happens to be the second child and daughter of Bruce Jenner and Kris Jenner. Before becoming the breakout star of the show Keeping Up With The Kardashians (KUWTK ), she first gained popularity as being the stylist for the heiress Paris Hilton. Her fame and fortune have since then increased in recent years be it from the KUWTK show or her personal entrepreneurial ventures. More so, just like her younger sister, Kylie, Kim gets paid for every sponsored post she makes on Instagram. 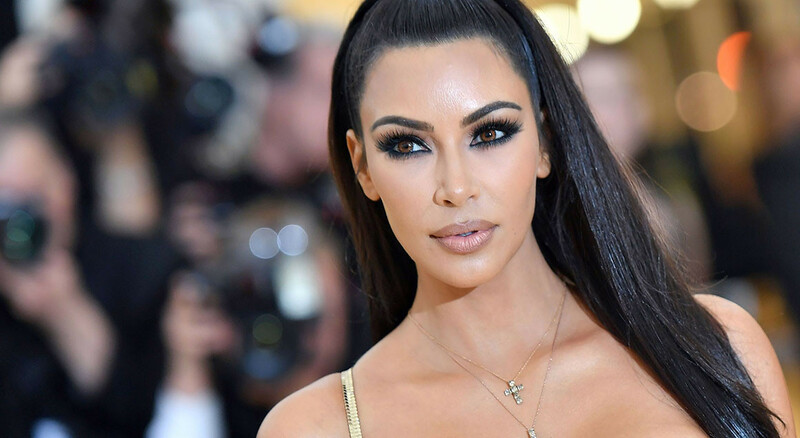 With a following of over 114 million people plus the impressive engagements on each post she makes, Kim’s payout was raised from $500,000 to $720,000 putting her as the 4th celebrity on this list of 10 richest Instagram celebrities. “The Queen Bey” as she is fondly called has been in a class of her own for years now. From the era of Girl’s Time to Destiny’s Child, Beyonce has been a formidable talent in the entertainment industry. Beyoncé Giselle Knowles was born in Houston, Texas, to parents Matthew Knowles and Tina Knowles on the 4th of September 4, 1981. She grew to become a popular singer, songwriter, dancer, actress, and record producer. Since the release of her debut album(Dangerously in Love) in 2003, she has gone on to become one of the greatest performers the world has seen. Her fame also transcended to social media as she has over 116 million Instagram followers to her credit, most of which like and comment on anything and everything she posts. As a result of this level of influence, her earnings per sponsored post increased from $400,000 to $700,000. This thus makes her one of the top richest Instagram celebrities in the world. Born in London, Ontario on the 1st of March 1994, Justin Beiber is a famous singer and songwriter who started out doing covers of popular songs which his mother Patricia “Pattie” Mallette posted on YouTube. After being discovered accidentally by talent manager Scooter Braun, as he was searching for a different artist on Youtube, Justin Beiber was signed to RBMG. He has since grown in person and artistry to become one of the highest selling artists in recent time. His fame also transcends social media platforms of which Instagram is one of the platforms which helps him connect on a deeper level with his over 100 million followers. To this effect Justin gets paid $650,000 to make any sponsored post for big-time brands, thus pitting him as the 6th richest Instagram celebrity on this list. Dwayne Douglas Johnson, also known as “The Rock,” is an American actor, producer, and semi-retired professional wrestler who can hardly ever be found wanting wherever the richest Instagram celebrities are being discussed. He was born to parents Rocky Johnson and Ata Johnson in Hayward, California on the 2nd of May 1972. The muscle man started out as an aspiring football player while he was in college but he had to find something else to pursue after he didn’t make the cut for the 1995 season. Being that his father, Rocky Johnson and his grandfather, Peter Mavia were renowned professional wrestlers, Dwayne decided to tow the same line. Adopting the name “The Rock,” in conjunction with his formidable skills, he went on to be regarded as one of the all-time best wrestlers. After retiring briefly from Wrestling, he tried his hands on acting. His very first feature film was in the 2001 box office hit, The Mummy Returns. In his second feature, he charged a record $5.5 million for the movie The Scorpion King which was in 2002. This figure broke the record for the highest paid to an upcoming actor as at the time. Now The Rock has gone to feature in a whole lot of blockbusters. This has also made his fan base increase to over 111 million followers on Instagram. Due to his payment of $650, 000 per each sponsored post, Dwayne “The Rock” Johnson ranks favorably here as the 7th highest paid Instagram celebrity and can never be found wanting on any other list of richest Instagram celebrities. Neymar da Silva Santos Júnior was born to, Nadine da Silva and Neymar Santos Sr., in Mogi das Cruzes, São Paulo, Brazil on the 5th of February 1992. 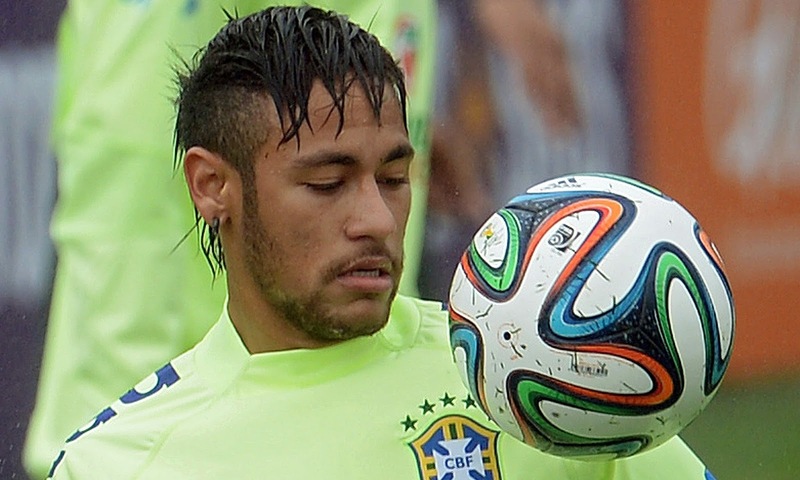 Having played soccer ever since he was a kid, Neymar’s skills on the pitch made him the muse of many fans. On the 3rd of August 2017, Neymar broke the record of the most expensive transfer ever for a soccer player. The club Paris Saint-Germain paid a whopping €222 million to Neymar’s former club, Barcelona for his transfer. This, in turn, set soccer-loving fans and enthusiasts into a frenzy and his Instagram following received an impressive boost. With 100 million followers and a $600,000 payout per sponsored post, he falls in the 8 position on this list of richest Instagram celebrities. The reality star and successful runway model Kendall Jenner happens to be one of the sisters of the Kardashian Clan. After gaining much popularity from the highly successful reality tv series Keeping Up with The Kardashians through her mother’s contacts she became a supermodel. This also transformed her into an international celebrity with an Instagram following of over 100 million. As at 2017, Kendall was paid $370,000 per sponsored post. However, this figure rose to $500,000 in 2018 rounding up the list for the highest paid Instagram celebrity. Dubbed one of the greatest players alive, Lionel Andrés Messi is a worthy mention to be on this list. He has over 100 million passionate followers on Instagram and based on the quality of followers interaction he has on his page, Messi gets paid a handsome $500,00 for each sponsored posts he makes on Instagram.